This year we decided to design our first ever calendar! 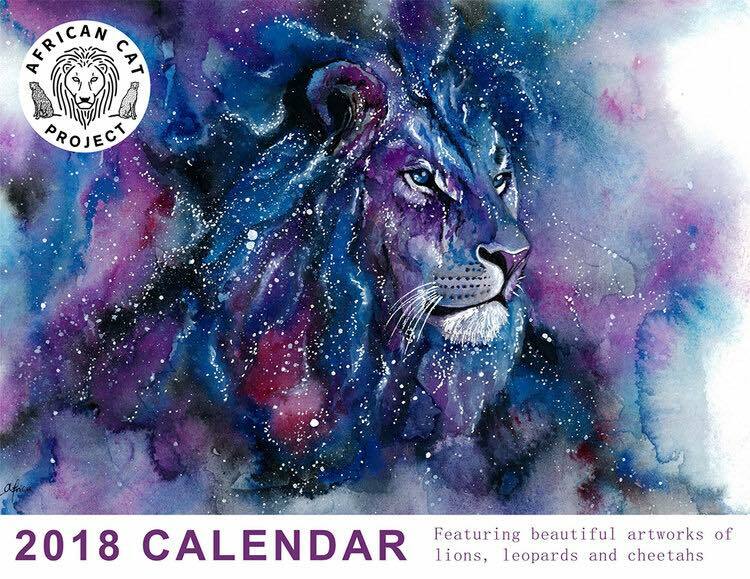 We have partnered with 12 amazing artists from around the world to bring you our 2018 Big Cat Art Calendar! 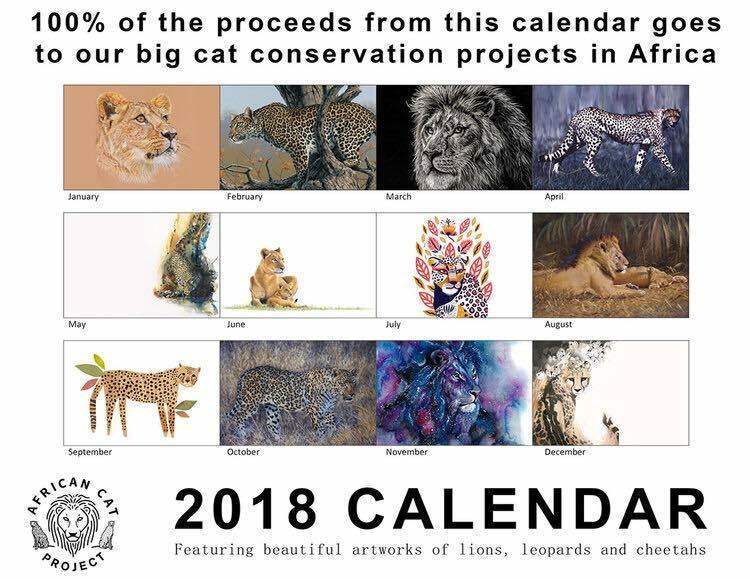 100% of the proceeds from the sale of these calendars goes directly to our three projects in Africa for the conservation of lions, leopards and cheetahs. Big thanks to the following artists for donating their work: Karen E Phillips, Fuz Caforio, Nafisa, Jan Henderson, Karen Laurence-Rowe, Matthew Bell, Margaux Carpentier, Guy Coheleach, Maya Hanisch, Alison Clark, Yang Africa and Rachel Walker. Also huge thanks to Australian Commercial Group for the sponsorship of this calendar. They are selling very fast so if you want one for yourself, a friend or even for your Secret Santa gift at work, click here now.